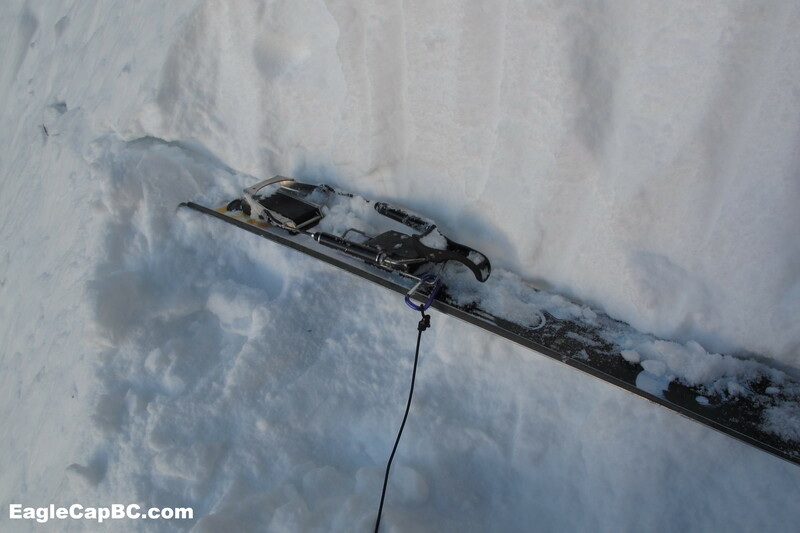 There’s a few places where losing a ski could at best ruin a run and at worst present a serious safety concern. I’ve had a few close calls with a rogue ski trying to start the descent without me, now I carry a simple leash all the time. Two mini carabiners and four or five feet of p-cord does the trick. I keep it tucked into the camelback sleeve on the shoulder strap of my pack and don’t notice it’s there, but it’s handy when I need it. 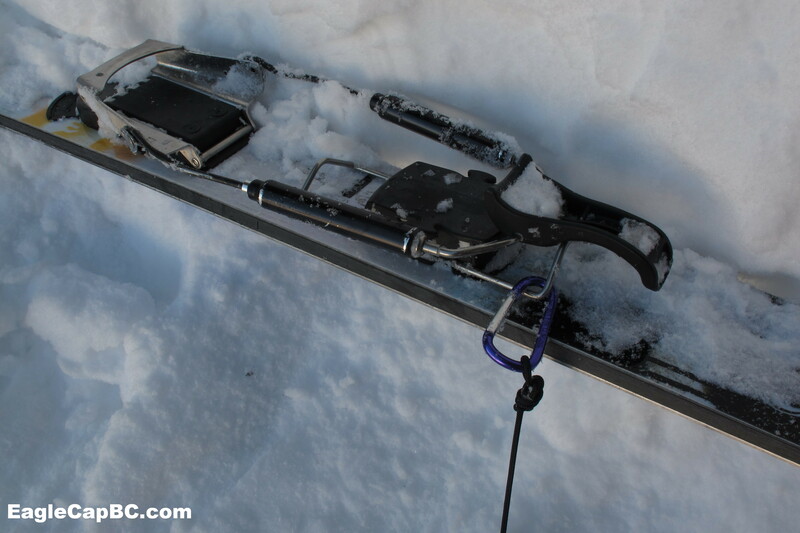 The leash usually gets utilized at the end of a bootpack, knife ridges, top of couloirs, etc. I clip the heel risers so it’s easier to unclip when I’m ready for the descent. Super simple and lightweight piece of equipment for security and peace of mind. This entry was posted in Gear and tagged bindings by Lee. Bookmark the permalink.